This B&H Kit includes two ezviz Mini 360 Plus 1080p Wi-Fi Pan/Tilt Cameras. The cameras capture 1080p video at up to 15 fps from a 4mm fixed lens. They feature a 0 to 340° pan range, a -10 to 80° tilt range, a 92° diagonal field of view, up to 33' of night vision, and two-way audio communication. 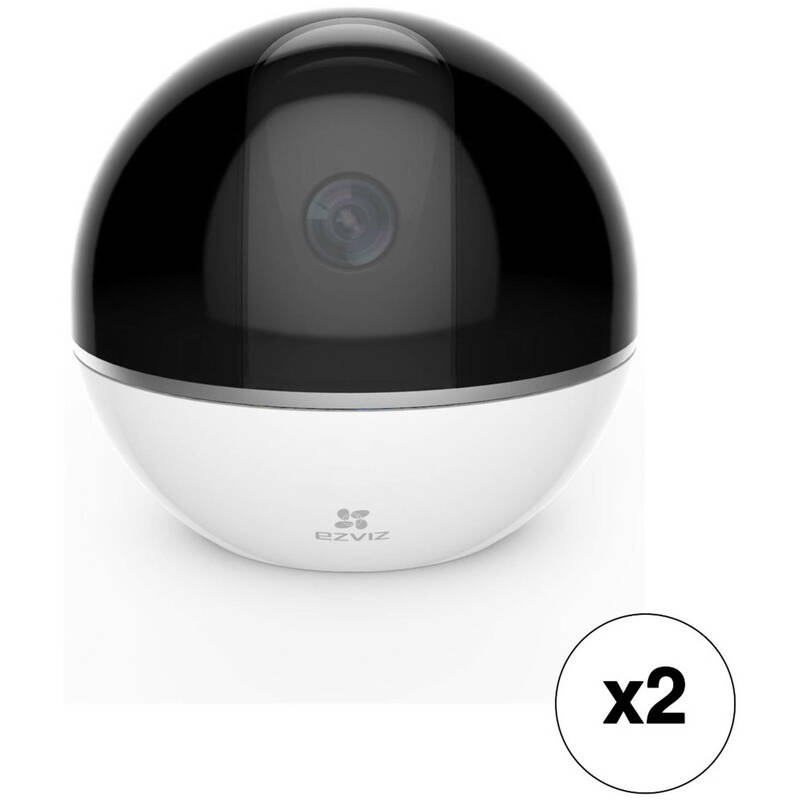 Monitor an indoor space with the Mini 360 Plus 1080p Wi-Fi Pan/Tilt Camera with Night Vision from ezviz. This camera features Wi-Fi connectivity to make setup quick and secure. The camera has a 1/3" progressive scan CMOS sensor to capture high-quality 1920 x 1080 resolution video at up to 15 fps for smooth playback during the day. At night, an IR cut filter and IR LEDs help the camera produce clear images of subjects up to 33' away, even in complete darkness. Pan the camera from 0 to 340° and tilt it from -10 to 80° to get a complete view of the room from wherever you are. The 92° diagonal field of view of the 4mm lens allows you to monitor a room with limited blind spots and can be tilted upward for true privacy. The built-in microphone and speaker allow you to listen to nearby sound and speak with visitors for an aural and visual surveillance solution. Download the free ezviz app for iOS and Android to customize settings and view real-time video of the monitored area. Save video directly onto a microSD card (available separately) or connect the Mini 360 Plus to a compatible recorder, such as the ezviz Vault (available separately). The camera is powered via the included AC power adapter. Box Dimensions (LxWxH) 6.25 x 5.05 x 5.05"